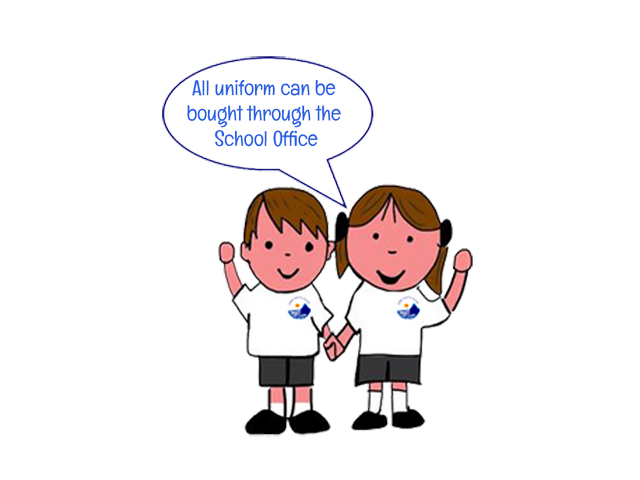 Royal Blue jumper or cardigan with school badge. Plain black, flat soled or small heel, school shoes (trainers are acceptable as long as they have no markings in any other colour). No boots. In the summer children can wear dark grey or black tailored shorts (boys or girls) or blue gingham summer dresses. Hair should be 'worn' smartly and not coloured or have razor designs. A 'house' coloured T-Shirt for warm weather and indoors. A jumper for outdoors and a windproof lightweight coat (this is not essential but can be worn if the weather is poor). Training shoes to suit the activity undertaken (if the children are wearing shoes with laces they must be able to tie them). For indoor use the children should wear black plimsolls or have bare feet. 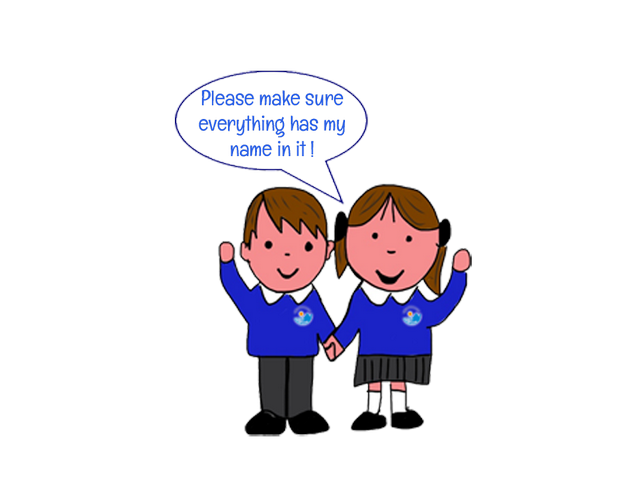 Please make sure you have a complete kit in school. It is essential for learning.